This quilt just returned from the quilters minutes ago. I have hand quilt a couple of quilts, and decided that wasn’t worth my time, so I have been sending some old ones off to be finished. I started making this when my daughter was a baby, finished it in short order, and it sat for over 20 years. After completing it I wasn’t really happy with the result. But I like it now! If you look closely, you will see that the center square is the pattern of the entire quilt. I have a very light green dot fabric that did not come off well, but it does look good put together. 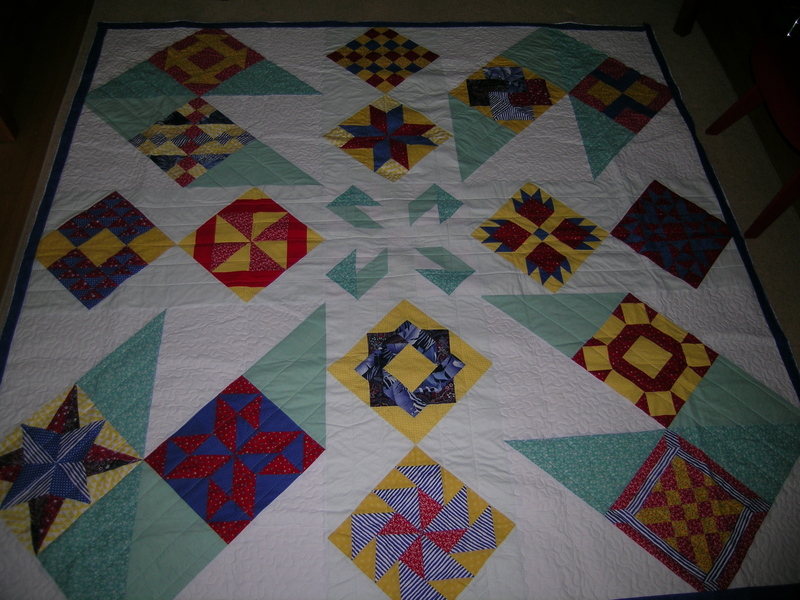 The entire quilt is a square, because the quilt itself is a larger version of the center square. 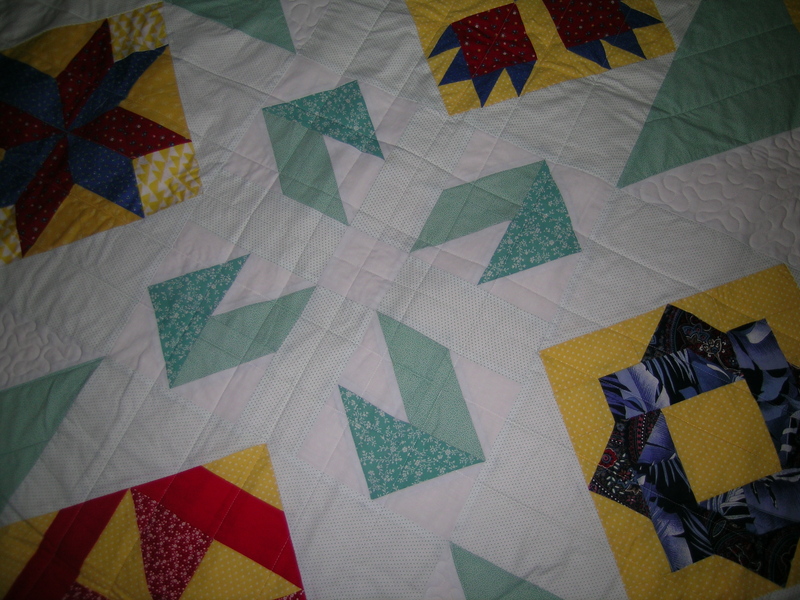 I think that this was the second quilt that I made. There haven’t been too many. I just have to sew down the blue binding. I have another beautiful one that is close to completion sitting in the basement. Must work on that. Very nice! I love quilts. I like to make to tops, but hate putting them together. Good idea to send it off.